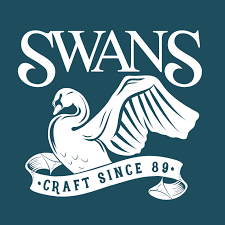 Located next to Victoria’s Chinatown, Swans is a brewpub attached to a heritage hotel that overlooks the Inner Harbour, with all the lived-in quaintness you expect from Victoria. As a brewery, it’s one of the older options on the list, having been established in 1989. But cast aside assumptions you have about being a stodgy brewpub with dated offerings: we were pleasantly surprised by the quality of beer at Swans, with a beer selection that often feels like they’re just throwing stuff at the wall to see what sticks, in a good way (Their description on the BC Craft Brewers Guild says that “the brewery has recently taken on the focus of brewing mostly one-time beers available only in the pub”). Head brewer Chris Lukie, formerly of Lighthouse, keeps up a diverse list of options, at least one of which will greatly please you. For one of us, it was the London wit, for another, a double malt double IPA, for another, the Berry Ale — nothing to our tastes was amazing, but virtually everything was above replacement level, and you’ll get a different mix each time you visit. Their food is also pretty decent, and there is a liquor store attached to it, which is never a bad thing. Swans is a place you imagine your “cool” aunt and uncle would go on a night out with their friends, which makes it quite a good time if you can let go of pretensions, belt out the words to “American Pie”, and drink a beer named after former Fernie MLA Tom Uphill.